Starting the 2017-18 school year Wisconsin SkillsUSA will follow the National Contest Standards for the school year. The National Contest Standards are now included in your membership package and are found on the national membership registration website. Any addendum to National Standards and State Only Contest for competitions will be available below. Click here for brief descriptions for all of the SkillsUSA Championships competitions. The official rules for each event are found in the SkillsUSA Championships Technical Standards. For contests that are too new for inclusion in the SkillsUSA Championships Technical Standards, there is a link at the end of each contest description. 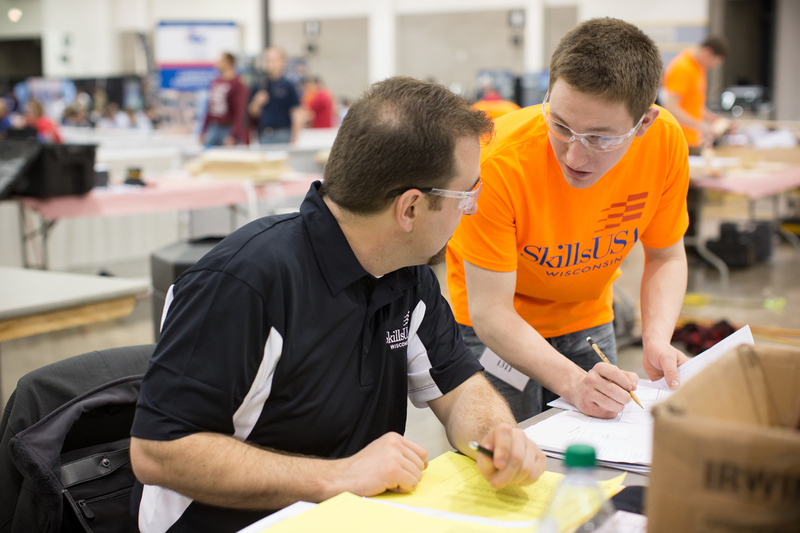 SkillsUSA WI Matrix 2019 – this document lists all competitions that are held in Wisconsin and at what grade level. The topic to be addressed by contestants in the Chapter Display, Prepared Speech and Promotional Bulletin Board. ” 2018-19 year is: SkillsUSA: Champions at Work, Career-Ready Starts Here.